The Africa Regional Data Cube (ARDC) is a new tool that harnesses the latest Earth observation and satellite technology to help Kenya, Senegal, Sierra Leone, Ghana, and Tanzania address food security as well as issues relating to agriculture, deforestation, and water access. The data cube was developed by the Committee on Earth Observation Satellites (CEOS) in partnership with the Group on Earth Observations, Amazon Web Services, Strathmore University in Kenya, Office of the Deputy President – Kenya, and the Global Partnership for Sustainable Development Data. In May, 2018, at the Strathmore University in Nairobi Kenya, the Africa Regional Data Cube (ARDC) workshop held which introduced the Open Data Cube (ODC) to local users and provide hands-on training on the management of the data and approaches for applying application algorithms to produce relevant products for decision-making. The launch coincided with Kenya’s rainy season. Heavy rains caused flooding, landslides, and a burst dam, among other impacts, killing hundreds of people and displacing hundreds of thousands. Cholera, a waterborne illness, is now reportedly spreading in areas such as the Dadaab refugee camp in the north of the country. Climate change, environment, infrastructure, sustainable cities – these are just a few of the many, interconnected issues that we, as a global community, are tackling through the Sustainable Development Goals (SDGs). But the global goals will be achieved through national and local action. What is a Data Cube? The data cube makes critical data easier to use. Picture a 30 meters squared piece of land – about the size of a small house. In data cube lingo, this is one pixel. There are 35 million pixels in one scene. For frame of reference, Kenya is captured in 34 scenes. Back in 2007, it would have cost more than $900,000 per year to access imagery and data for Kenya. The data is all free today, but the problems for users didn’t end with open data. It was prohibitively challenging, in terms of resources, capacity, and infrastructure, for each separate user to download, store, process, and analyze the data. Enter the data cube as the answer. 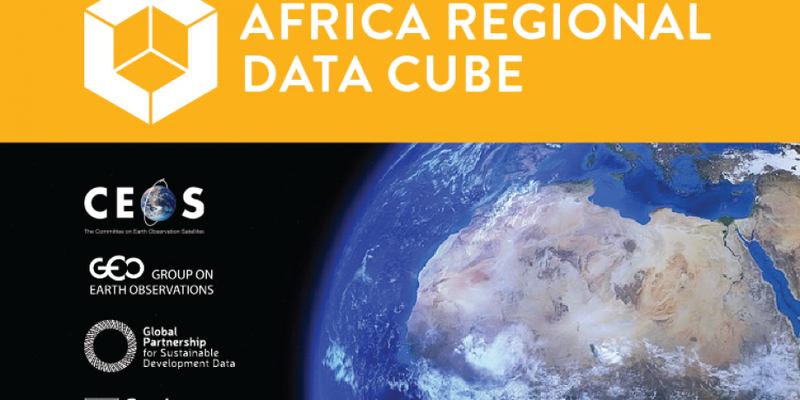 The Africa Regional Data Cube (ARDC), based on the Open Data Cube model, is a technological innovation that layers 17 years of satellite imagery and Earth observation data for five African countries: Kenya, Senegal, Sierra Leone, Tanzania, and Ghana. It stacks 8,000 scenes across a time series and makes the data – which is compressed, geocoded, and analysis-ready – accessible via an online user interface. Our country partners can then put the data to work, delivering the insights that will help them to deliver better policy and achieve the SDGs. During the workshops in Nairobi, programmers, data scientists, and development practitioners from each of the five countries were trained on how to use it. What Can the Data Cube Do? 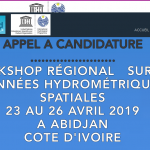 While each country has specific challenges and priorities, many of issues the ARDC will be used for are related to land use, water, and urbanization. For example, in Ghana, illegal mining is taking a huge toll on the environment and the economy. Until now, the illegal mines have been quite difficult to identify – but the data in the ARDC, particularly the ability to compare land changes over time, can help detect areas where mining is taking place. And in Senegal, where large pastoralist communities rely on agricultural production and crop yields for survival, climate change and other external forces are threatening their livelihoods. The ARDC can improve monitoring of vegetation cover, and can also detect change, comparing vegetation over time while balancing for seasonal variation. In Tanzania, informal settlements are unmapped, unplanned, and under-resourced, making them prone to flooding and difficult to assist. Similarly, rapid urbanization – coupled with land degradation and minimal capacity to map or track changes in Sierra Leone – is leaving many in Freetown and surrounding areas vulnerable. With a high-resolution, real time bird’s eye view of informal settlements as they build and grow, policymakers can work to map and register settlements to improve planning and resource distribution. And in Kenya, issues such as land degradation and flooding are top of mind for many people. The Kenyan government can use the ARDC to monitor land degradation over time as a preventative measure, and eventually develop stronger early warning systems for flooding. The ARDC is an illustration of what is possible when we leverage partnerships, data, and innovation to power progress toward the SDGs. It was developed by the Committee on Earth Observation Satellites (CEOS) in partnership with the Group on Earth Observations, Amazon Web Services, Office of the Deputy President – Kenya, Strathmore University, and the Global Partnership for Sustainable Development Data. As our partners work hard to harness insights from the ARDC, we look forward to sharing lessons learned along the way, including at the UN General Assembly in September and the World Data Forum in October.